All young people can sing, which is great. 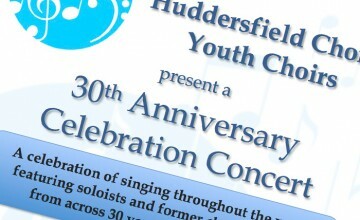 So, to join the sections of the Huddersfield Choral Youth Choirs our musical director listens to each voice to find out whether it is ready for the songs we sing, according to age group. This makes sure that each voice is put in the correct part for their age. Young people can sing a simple song of their own that they know, if they have one. The musical director also listens to the voice using a simple 'copy what I sing' method. Young people are also asked to clap a simple rhythm back. There is no pressure and parents are invited to be there when the young person sings. So why not come along and see if your voice is ready to join an amazing choir? To apply to join the Youth Choirs, fill out the form below and one of our committee members will be in touch to make arrangements.